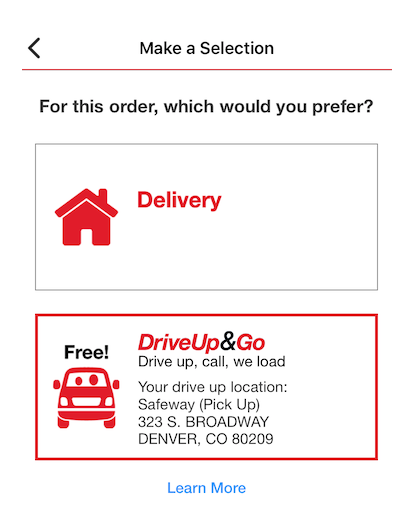 Did you know that Safeway Drive Up & Go grocery pickup service has launched in Colorado as part of Safeway’s grocery delivery options? This awesome new program allows you to place your grocery orders online, schedule a convenient pick up time and Safeway will put the groceries directly into your car for free! Perfect for busy moms or dads who don’t want to grocery shop with kids in tow, business professionals who want to grab their groceries on the way home without having to do an hour of shopping first, and anyone looking for the convenience of having your grocery shopping done for you. How Does Safeway Drive Up & Go Work? 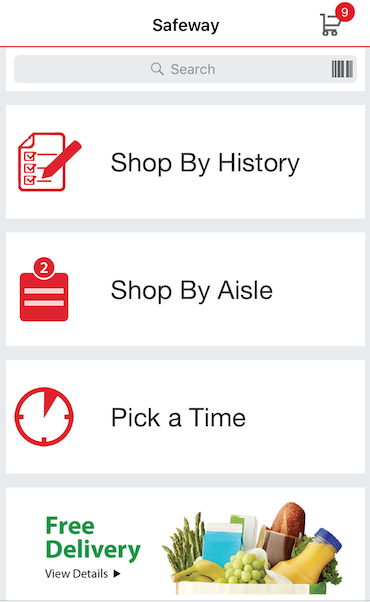 Ordering your groceries online or through your mobile device is quick and easy, simply visit Safeway.com or you can download the Safeway grocery delivery app through your Just for U app and place your order using your mobile phone. Be sure to select the Drive Up & Go option when prompted and then create your shopping list. If you have ordered from Safeway grocery delivery service before, your shopping history is remembered, so you can quickly reuse an entire past order or quickly add items to make a new list. Additional ways to create your list include shopping by aisle, searching for ingredients individually, or shopping by recipe where recipe ingredients are added to your shopping list with the click of a button. The system will also ask you if you will allow substitutions to your order. You can choose any substitutes one by one, or simply indicate you do not want substitutes if that is the case. Once you finish placing your order, you can select your pickup window. If you want your order to be picked up the same day, then you’ll need to place your order before 3:00 am for delivery or pick up between 9:00am – 4:00pm and for the afternoon, you’ll need to place your order before 8:30am for delivery or pick up between 4:00pm – 10:00pm. The orders are held inside the store for a 2 hour window, so if you are running late, not to worry, you have to to 2 hours to collect your groceries. The Safeway Drive Up & Go prices are the same as the Safeway online grocery delivery pricing. This means online and physical store prices, promotions and offers may vary. However, Just for U digital coupons/price points/ offers that you add to your account before placing your order will be accepted. You will be charged the prices and receive the promotions applicable to your online store and selected delivery method (i.e. delivery or Drive Up & Go) on the day of delivery or pick up. Unfortunately paper manufacturer coupons are not accepted for the Drive up & Go service, however, Just for U digital coupons are accepted. Additionally, there are a ton of online promotions and special delivery only offers built in to the grocery delivery and pickup services. Therefore, there are plenty of savings opportunities available to maximize your grocery delivery and take advantage of the convenience! 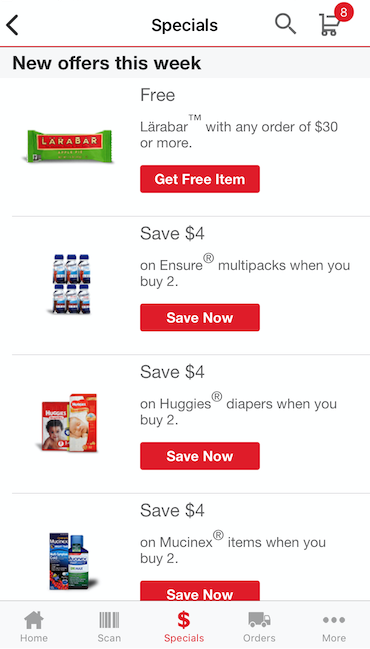 If you consider the amount of time saved by not having to do your own shopping, that may be greater than a few bucks saved with clipping and presenting paper coupons. The Safeway Drive Up & Go service is FREE! How awesome is that? Someone else does all the shopping for free and even puts it into your car for FREE! The Safeway grocery pickup service is currently available at 7 Colorado locations, and up to 50 locations are scheduled to be added by the end of the year. You can always check the closest location to you based on your zip code on the Safeway.com website here. 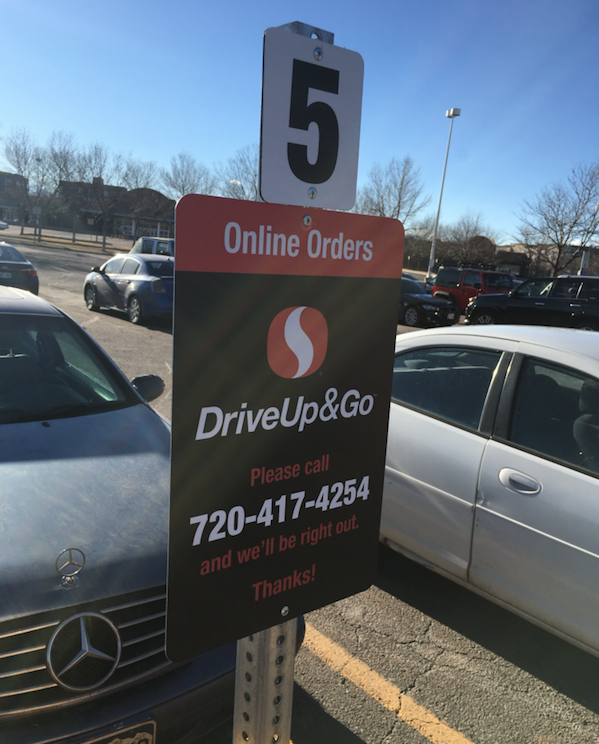 When you are ready to pick up your order, simply drive to your local Safeway where you placed the grocery pickup order, park in one of the designated spaces in the front of the store (there will be signs to help you) and dial the phone number listed on the sign. Each store will have it’s unique sign and phone number. A Safeway team member will bring your groceries right out to your car for you along with a copy of your receipt. It’s just one more way that Safeway is making grocery shopping more convenient! 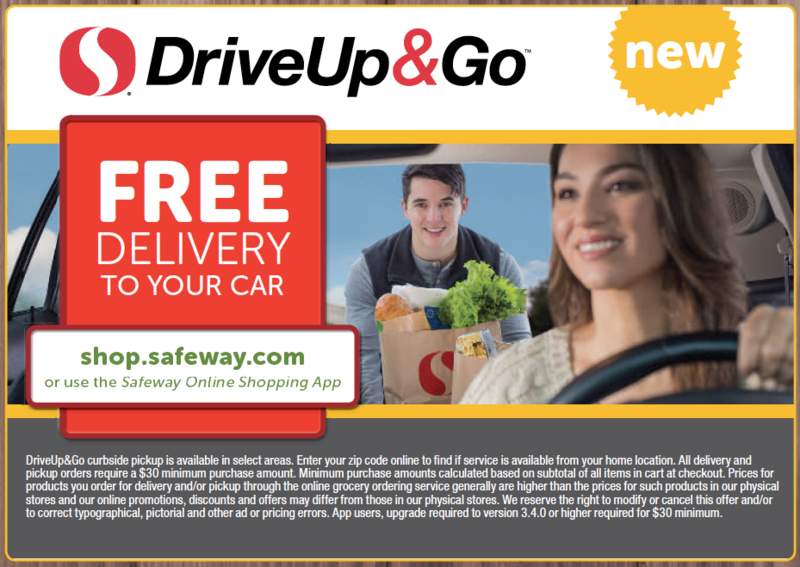 Have you tried the new Safeway Drive up & Go grocery pickup service? Let us know your thoughts in the comments below. Which Stores on Oahu have Drive Up & Go? Can you tell me if Drive and Go is set up in Washington State? Specifically the Marysville /Everett area of Snohomish County.